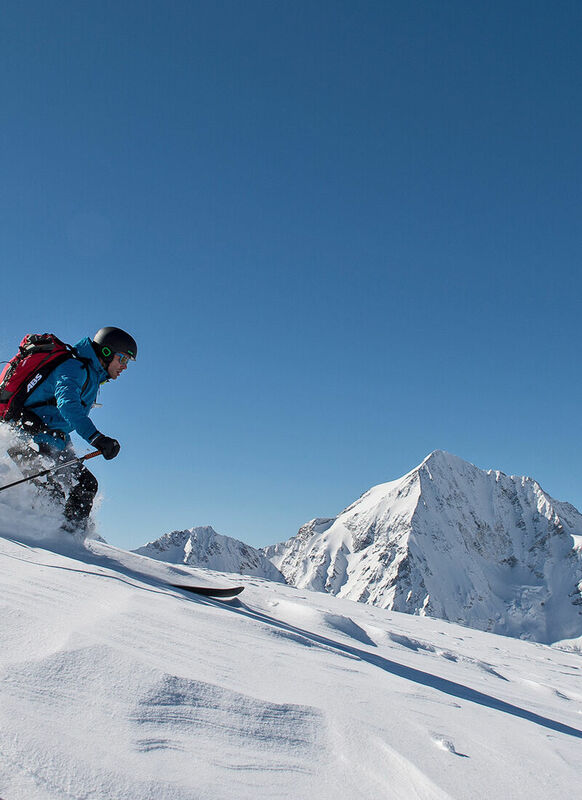 Winter tourists can choose between five different skiing areas in the surroundings of our hotel, the perfect ski hotel in South Tyrol: the skiing areas Watles, the Haideralm, the area Schöneben, the area Trafoi & Sulden and the Skiparadies Nauders at the Reschenpass. All five are within easy reach. 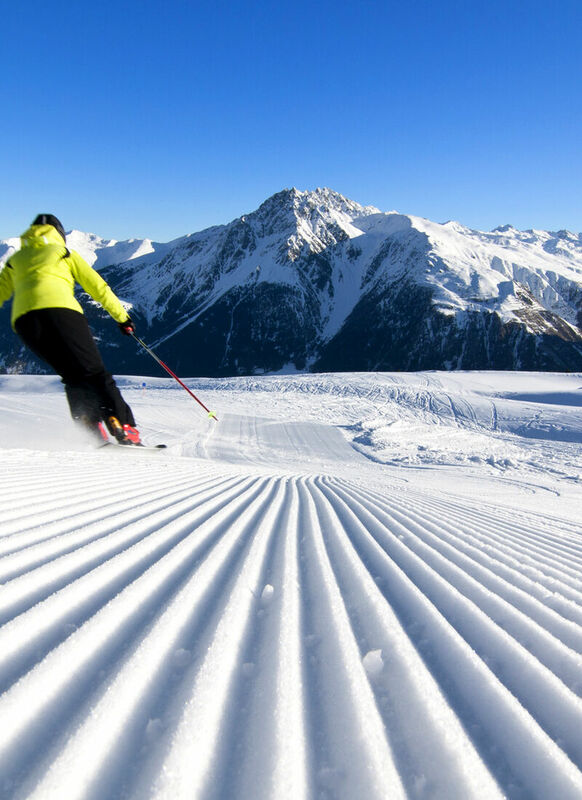 The ski lift will take you up to heights from which you can admire stunning views, including the mighty three-thousanders of the upper Vinschgau valley. During the winter months, the snowy mountain worlds are particularly beautiful; on sunny days they seem like something out of a fairytale. Such impressions will make you realise that with Alpin & Relax Hotel Das Gerstl you have found the perfect hotel for your winter holiday in South Tyrol. With a broad smile you will dash down the perfectly prepared slopes, only to stop for a short, relaxing break in one of the cosy mountain huts where you can eat and drink something and lie in the sun before you return to the valley. 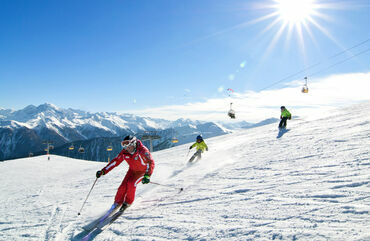 Five ski areas in one region: Watles, Haideralm, Schöneben, Trafoi & Sulden, and Skiparadies Nauders at the Reschenpass. 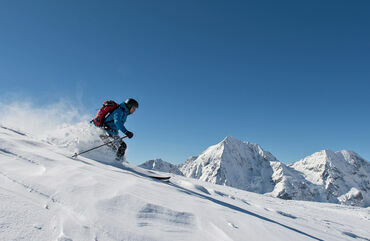 The five skiing areas surrounding the Alpin & Relax Hotel Das Gerstl are perfect for children, too. 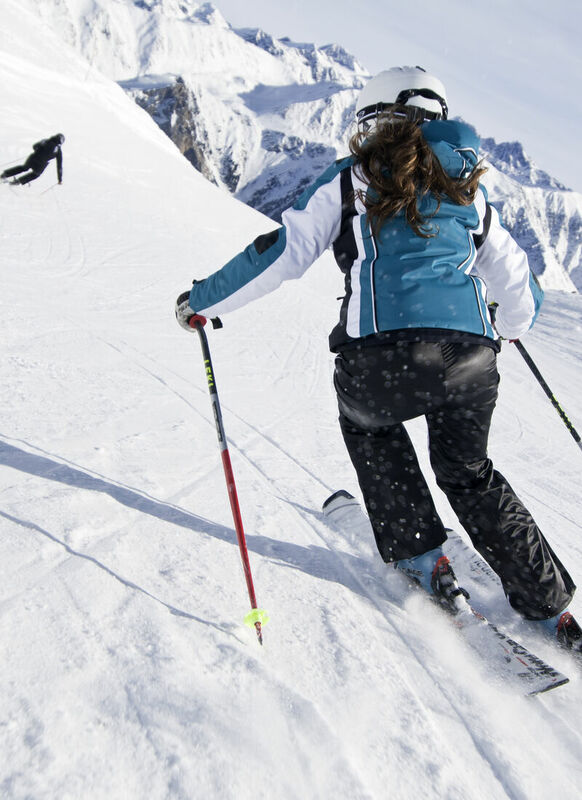 Especially the skiing area Watles is ideal for families. 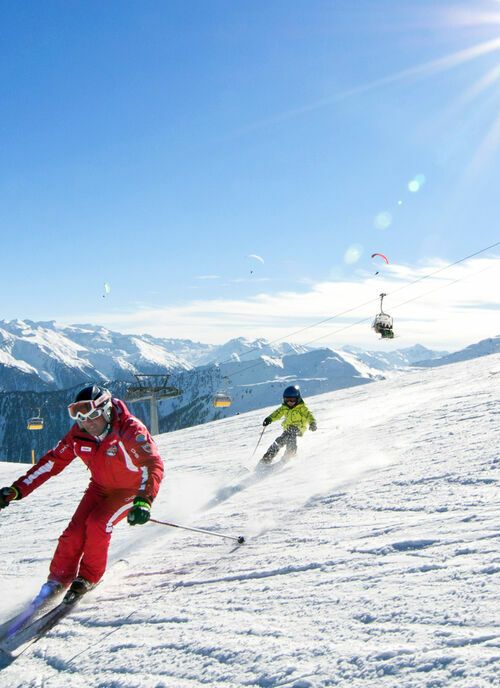 Our free shuttle bus takes you there in the blink of an eye and your children can take part in skiing courses (the skiing school Watles is very renowned and was awarded gold for its kids' school). Children can take group lessons (weekly course) or private lessons. Our 15 skiing instructors have had additional educational training and are well-suited for teaching children how to carve or snowboard. 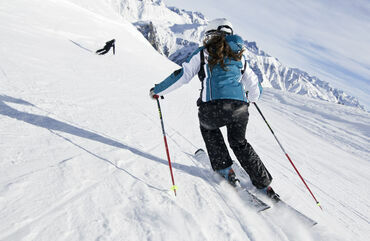 There are also courses for adults who want to learn how to ski or improve their skills. 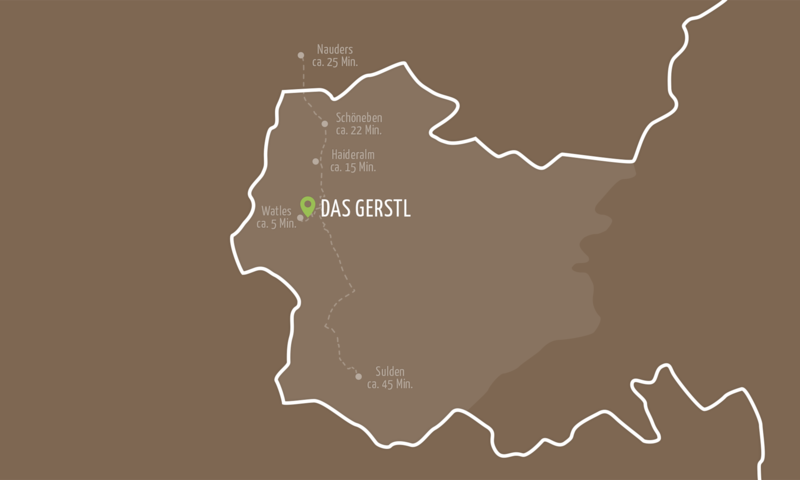 After an adventurous day full of action on the slopes and in the snow, breathing in lots of fresh mountain air, the entire family will be glad to return to the ski and wellness hotel Das Gerstl. Rumbling tommies will exult at the sight of our cake buffet, which has been prepared as your afternoon snack. Our wellness area invites all family members to relax after an intensive day: in the sauna, the heated infinity pools or on our water matresses. 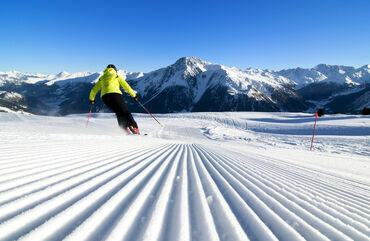 Alpin & Relax Hotel Das Gerstl definitely is the perfect hotel for your skiing vacation in South Tyrol.